Mildred Inks Davidson Dalrymple, 44-W-4 Nov.
Millie was a WASP like no other, but that describes most of the WASP I know. She was spunky, optimistic and determined. If you asked her, she’d tell you right up front she was “bossy,” but for me, Millie was also a unique kind of cheerleader, and I will so miss her encouraging words. Millie took her final flight on Wednesday, sitting at a table in the dining room at Westminster Manor in Austin, Texas. She was telling one of her famous stories. She loved to tell stories. I hope she would smile if I said to her “and most of them were true.” Now that I really think about it, no, she would disagree; look directly into my eyes and say, “ALL of them were true.” I’d be the one smiling. I first met Millie at one of the WASP conventions—I don’t remember how far back. Millie was a classmate of my mom’s, so, there was an instant friendship. After that WASP Convention and several other events honoring the WASP, I began working on my Wings Across America project. It didn’t take long to convince mom to join me, and when Millie heard what we were up to, she was the first WASP to ask, “What can I do to help?” Millie became our ‘test subject’. She was our very first WASP interviewee. We borrowed a camera from my old PBS station. We also borrowed my friend, Joani, who was head of production. Down to Austin we went, the three of us-- setting up equipment for the first time in Millie’s den. We set up lights, microphones and a huge camera. Millie wasn’t the least bit phased. It was a delightful experience. Millie was delightful. From then on, she was one of our best WASP Champions! Mom and I are still both so grateful for her friendship and her steadfast and vocal support. Mildred Inks Davidson Dalrymple. Indelible. Unforgettable. If you visit the "FlyGirl's WASP Exhibit," you'll see Millie's inspirational words etched on a panel that says “Passing it On.” I include it now, because that is why she did the interview in the first place—to pass it on and to inspire others. God bless her family -- and all of us who were touched by this larger-than-life WASP. Millie Dalrymple Millie Dalrymple, a member of the "Greatest Generation" who served her country and her family in war and peace, is now at rest. Millie was born on February 14, 1920, to Roy Banford Inks and Myrtle Louise Moss. She died peacefully on Wednesday, November 14, 2012 at the age of 92. At birth Mildred Banford Inks weighed only a few ounces over three pounds and was placed in an improvised incubator - a shoe box with a lamp. Her prospects for survival were slim. She not only survived, but went on to become a strong life force, impacting many people and achieving many goals, often as a pioneer. That she survived, and ultimately thrived, may in part be due to her parents' stock. Her father was Roy B. Inks, a business man in Texas who helped establish the Highland Lakes, one of which is named after him. Her mother, Myrtle Moss Inks, gave her some of the Moss family stock, pioneers of Texas with roots to the Battle of San Jacinto and a family ranch west of Llano. She grew up in Llano, Texas, where she enjoyed a good life learning, among other things, how to play tennis with an unorthodox serve and many improvised self-taught shots. However, the Great Depression, the early death of her father, and World War II changed things dramatically. She graduated from the University of Texas, took an editing job with the state legislature, and married a B-17 bomber pilot. After his plane was shot down and he was listed as missing in action in Europe, she applied to train to become a "WASP" (Women Airforce Service Pilots). She and other courageous women flew military airplanes stateside, putting in break-in hours, towing targets, transporting military people, and so on. Her log book showed many hours piloting our heaviest bombers - B-17's and B-24's. She had many adventures and close calls, but defied the odds again and made it through. In the meantime, her brother, Jim Moss Inks, was also shot down and missing in action. Her brother eventually returned home alive. Her husband did not. After the war Millie married Edwin Dalrymple, a friend from Llano who had been a Spitfire fighter pilot in the war. During their first 20 years of marriage they raised three children while Edwin was an FBI agent, first in Washington DC and later in Houston. They moved to Austin in 1967 and were married for 60 years before his death in 2006. Millie worked part time as a substitute teacher while the kids were growing up in Houston. In Austin, she worked full-time to help earn money and channel her energy. In those jobs, she again showed her pioneering spirit, including setting up and managing the first word processing center in Austin. She also took up tennis again, winning dozens of tournaments and eventually achieving a national ranking as a senior doubles player. Later in life, she became a sought after speaker, describing her adventures as a WASP. In 2010, she was awarded the Congressional Gold Medal for her service as a WASP which she received in a ceremony at the U.S. Capitol in Washington DC. Throughout her life she was known not only for taking charge and tackling problems head-on, but also for taking care of many family members and others. At one point when the family lived in Houston, she cared for a household that included her mother, her husband, her three children, and her brother's children Roy and Suzanne Inks. The last few years of her life, she became the one needing care, which she sometimes accepted with grace and sometimes fought with a rebellious streak. She is survived by her son Dennis Dalrymple and his wife Billie, daughter Gail Dalrymple and her husband Tom Richardson, and son Tom Dalrymple and his wife Elisa. In addition, her survivors include grandchildren Neil Dalrymple, Holly Dalrymple, Travis Dalrymple, Scott Richter, Tracy Eldridge, and Peter Richter, step-grandchildren David and Laura Richardson, and great-grand children - Austin Dalrymple, Reese Dalrymple, Katherine Eldridge, and Millie Eldridge. She is also survived by Gail Botello, her caretaker, who gave her unconditional love and care for the last few years of her life, for which the family is very grateful. Millie will lie in state Monday, November 19th from 7:00 to 8:00 p.m. at Weed-Corley-Fish Funeral Home, North Lamar. Memorial services will be held on Tuesday, November 20th at 10:00 am at Covenant Presbyterian Church, 3003 Northland Drive, Austin, Texas. A reception will follow at the church. A graveside service and burial will follow later that day at the City Cemetery in Llano, Texas. Those who wish to commemorate Millie's passing with a donation may contribute in her memory to either the Llano Library, 102 E. Haynie, Llano, TX 78643 or the National WASP WWII Museum, 210 Avenger Field Road, Sweetwater, TX 79556. ROBINSON, Barbara Manchester, age 91, of Tullahoma, passed this life on Friday, Nov. 2, 2012, at her residence after an extended illness. Mrs. Robinson was born on Oct. 17, 1921, in Batavia, New York, to the late Ward Beecher Manchester II and Jennie Adele George Manchester. She graduated from Batavia High School in 1939 and from Russell Sage College of Women in 1943. 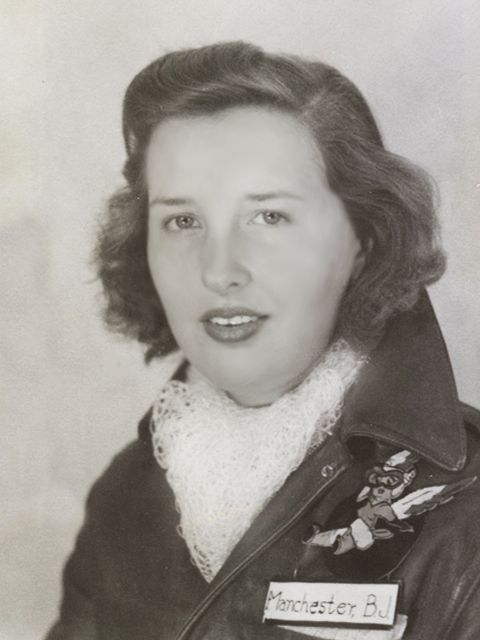 While attending Russell Sage College, she was a Civil Air Patrol pilot by the age of 19. She completed her Commercial Pilot’s License in February 1942 with 200 hours of flight time. Her goal was to train male pilots for the war effort. Barbara joined the Women AirForce Service Pilots (WASP) in August of 1943 after receiving an offer from Jackie Cochran. 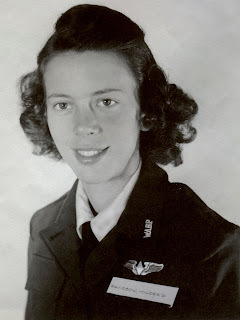 She graduated from WASP training in Avenger Field, Sweetwater, Texas, Class 44-1 and was assigned to the Army Air Force Weather Wing, flying a Twin Beech to 33 weather stations each month. Barbara was honorably discharged on Dec. 20, 1944, after flying about 1,000 hours. While serving in the armed forces, Mrs. Robinson received an American Campaign Medal and a World War II Victory Medal. She later received a Congressional Gold Medal for her service during World War II. She married her husband William on May 23, 1945 and June 6. 1945. Barbara helped her husband of 67 years graduate from Rensselaer Polytechnic Institute and joined him on various USAF assignments until his retirement in 1969. She was an artist who used many different mediums to depict the beauty she saw in the world. She painted portraits and landscapes in oils and acrylics. She used her sewing abilities to make clothing, embroidering, counted cross stitch, knitting, crocheting, needlepoint and quilting for which she received numerous awards. She also was an artist in lapidary and silver smithing, stained- glass work and ceramics. She enjoyed camping and bird watching as well. A memorial service for Mrs. Robinson will be held at 1 p.m. on Saturday, Nov. 17, 2012, at St. Barnabas Episcopal Church in Tullahoma with Rev. Michael Murphy officiating. For those who wish, in lieu of flowers, donations may be made to the St. Barnabas Building Fund, P.O. Box 446, Tullahoma, Tenn. 37388 and the Women’s Air Force Service Pilots Museum at Avenger Field, P.O. Box 456, Sweetwater, Texas 79556. Mrs. Robinson was preceded in death by her parents, Ward Beecher Manchester II and Jennie Adele George Manchester; and two brothers, Ward Beecher Manchester III and John Alan Manchester. She is survived by her husband, Major William C. Robinson, USAF Ret. ; five children, William Stephen Robinson (Sharon), Alan Ward Robinson (Sharon), Donna Robinson Sanders, Thomas Edward Robinson (Tracy), and Judith Robinson King; 15 grandchildren, Stephen Anthony Robinson (Christine), Karen Marie Baker (Cole), Kristen Terese Goodman (Mike), Richard Michael Robinson (Sloan), Anastasia Robinson Woo, Vanessa Robinson Woo, Yancie Abbott Sanders, Elizabeth Grace Carr, Cynthia Marie Robinson, Timothy Andrew Robinson, David Matthew King, Donavon William King, Lillian Judith King, Jeffrey Riffe (Cynthia), and Franklin Ray Sanders, Jr.; 12 great-grandchildren, and two great-great-grand-children. Kilgore Funeral Home in charge of arrangements. 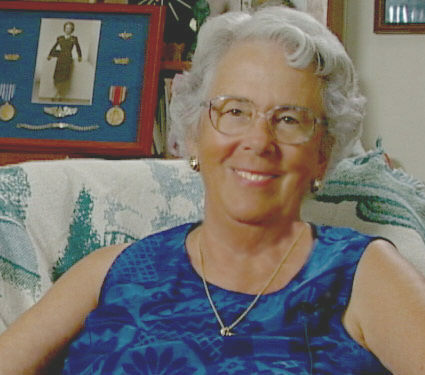 In 2009, Barbara's husband, Bill, created a wonderful tribute to Barbara's service and to the WASP at the Beechcraft Heritage Museum in Tullahoma. His devotion to her and to shining a light on her service in WWII was heartwarming. I had the honor to meet Bill and Barbie in 2010, as the WASP gathered in DC for the Congressional Gold Medal Ceremony. They were a wonderful pair-- and on this occasion, Bill was at her side, flying in the Wingman position. When Bill called to share the sad news of her passing, he added, "We didn't say goodbye," and then explained that "I'll Be Seeing You" was 'their song,' when they fell in love. Do you know the words? I'd like to share them ... because for Bill, their love story goes on-- as he said to Barbie in their last conversation, "Be seeing you." Chorus: "I'll Be Seeing You"
God bless Bill and the Robinson family-- and all of those who have been touched by this sweet WASP.